At Buttercup Dental, we understand that the biggest hindrance to many people getting the dental care required is the financial obligation involved. Many people do not have insurance to cover most dental procedures and they are faced with out of pocket expenses that are just too much for them to pay. Thus, it is with this knowledge that we offer several convenient payment options, including the payment plan administered by CareCredit. CareCredit can be the solution to helping some get the smile if their dreams. It is a personal line of credit that can enable you to finance all of your dental care. CareCredit offers various monthly plans where the user will have a certain length of time to pay for their procedure. instead of having to come up with the full payment at the time of treatment. However, CareCredit is not for everyone. It is a credit card, and its approval is based on past credit history from the applicant(s). Many doctors, including your Cedar Park Dentists offer CareCredit to their patients because they want to continue to offer the best care necessary. If you are interested in using CareCredit, or any of our other convenient payment options, call our office today, 512-335-8121, and we will discuss all financial options which may be available to you!!!! There are many people who believe that all dental procedures should be avoided during pregnancy. This is, in fact, a dental myth. Not only is it not true, but, it is recommended that during pregnancy, preventative dental and regular exams not be put off. It was very important for pregnant women to take care of their dental health during pregnancy. As a result of the hormonal changes taking place in a woman during this time, there is an increased risk for developing gum disease, which has been been known to affect the health of the developing baby. Ideally, it would be in a woman’s best interest to visit her dentist and have her gum tissue carefully examined, and have any oral health problems treated before pregnancy. However dental care during pregnancy is not forbidden. It is recommended that any necessary dental procedures during pregnancy be avoided during the first trimester and the second half of the third trimester. These periods are critical times in the development of the baby’s growth and development. However, routine dental care is encouraged during the second trimester. Dental exams should not be skipped during pregnancy. During this time, more than ever, it will be very important to ensure that your have good dental health, especially your gums. Dental work such as fillings and crowns should be treated to reduce the chance of infection. Elective dental procedures, like teeth whitening and other cosmetic procedures, should be postponed until after the pregnancy. Also, dental x-rays during pregnancy should be avoided, unless it is a dental emergency. Maintaining healthy oral health is absolutely necessary during pregnancy. Continuing a healthy oral regime during your pregnancy will help in reducing the risk for any dental problems. As children growing up, we were always warned about the perils of eating sugary foods, especially candy. However, many of us, then, and even now, were not told about the foods that we should be eating, in addition to daily brushing and flossing, in order to promote and maintain healthier gums, and also teeth. Here at Buttercup Dental we are dedicated to educating our patients about the foods that we eat and the vitamins that they contain which are essential for the growth of healthy bones and teeth. Vitamin A is necessary for the maintenance of the normal structure of the tissues found in the oral cavity. These tissues serve as protective barriers against the microorganisms that cause diseases. Vitamin A, can be found in eggs, liver, salmon, cheese and beef. We can also get Vitamin A from orange-colored vegetables, like carrots and pumpkins, and dark leafy vegetables, like spinach. There are many reasons for eating healthy foods. As far as oral health goes, eating healthier is a sure way to get on the right track to promoting and maintaining healthier gums. Visit your Cedar Park Dentist today and ask us more about how you can keep your smile beautiful and healthy by eating the right foods. 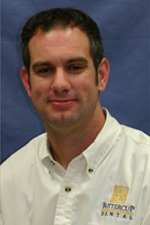 Dr. Scott Smith opened Buttercup Dental in Cedar Park in 1987. By combining an outstanding staff with excellent patient care, it has become one of the largest practices in Central Texas. From 2003-2007, he opened 3 additional offices in Bee Caves, Liberty Hill, and Hutto to assist recent graduates wanting to start their own practices. Dr. Park graduated from Brigham Young University in 1998 and is a 2002 graduate of the University of Texas Health Science Center in San Antonio Dental School. Dr. Park is a member of the Texas Dental Association, the Capital Area Dental Society, and the American Dental Association. 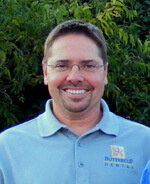 Dr. Stancey joined Buttercup Dental as a partner in 2009. 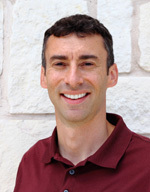 He is a member of American Dental Association, Texas Dental Association, and the Capital Areal Dental Society. With over 300 hours of extensive orthodontic training and a sedation license, his special emphasis has evolved into pediatrics, braces, and wisdom teeth removal.